The #AgencyLife isn’t easy! Among the many tweets shared by marketing professionals using that hashtag, you’ll often find remarks, complaints, or jokes about virtually every process within project management. In a world where everything is due by end of day, one of the biggest challenges for marketing and creative teams is to get real-time visibility into everything your team is working on. From 15+ year old applications like Microsoft SharePoint to newer cloud-based solutions like Slack, I have used a wide range of marketing project management solutions to balance projects, assignments to team members, and customer expectations before and after launch. One platform that stands out from the crowd is Wrike, a project management solution that streamlines coordination across teams, development of campaign assets, and management of events, campaigns, and launches. Here are three reasons why. Depending on your organization’s hierarchy, the roles of project manager and account manager may or not be separate. Generally, the larger the organization, the greater the chance for disconnect between an account manager and project manager. When a client lands a lucky windfall and finds herself with extra budget available at the end of the quarter, she often contacts the account manager to push forward a project that got shut down a couple weeks or months ago. The catch is that the project must be complete this week. Armed with an approved estimate of hours and team members, the account manager starts coordinating activities directly with team members. This completely disrupts the existing workflow that the project manager has in place. To address this issue, Wrike’s project management software does a great job of providing filters that allow you to take a look at existing tasks that are assigned to individuals in the creative, UX, and code departments. For example, the account manager could take a look at existing assignments that are due this week for the tentative team members and make a more informed decision about whether or not to accept the client’s project or outsource it due to lack of bandwidth. A big challenge with some project management software is that they seem to be stuck in the Mad Men era, when marketing professionals needed to physically go to the office to get work done. Nowadays you can complete most assignments with a smartphone and internet connection. By enabling you to interact with tasks through free mobile apps (Android and iOS), as well as plain ol’ email, Wrike’s online tools for project management don’t chain you to a desktop. As an account manager, there’s nothing worse than holding off a task when all you need to do is to forward a file from the client to a member of the creative team. With Wrike, I really enjoy the fact that I can leverage my smartphone to complete tasks on the go and attach documents stored on my phone, or on my Dropbox or Google Drive accounts. Additionally, I can set up email notifications for specific tasks and chime in via email to approve a specific task. In the video below, Redfoo, recording artist, CEO of Party Rock Records and LaFreak Clothing, and former member of LMFAO, explains in his own words how Wrike improved his businesses processes. Before Wrike, his team at LaFreak and Party Rock would only complete 5% of meeting action items. Now, he and his team are able to track tasks and see each one’s status on the go via email and smartphone. You wouldn’t use a hammer to screw a nail. However, many folks in our field test the limits of Microsoft Office productivity tools to manage projects. There are two reasons why this is a bad idea. First, you may be able to get away with managing projects from a spreadsheet when you’re a two-person operation. However, as your company grows, you’ll quickly realize how a spreadsheet isn’t efficient, because it doesn’t reflect updates in real time and can’t be updated by several team members at the same time. Second, word documents and spreadsheets don’t “talk” with other critical software, including cloud-based storage solutions and creative apps. 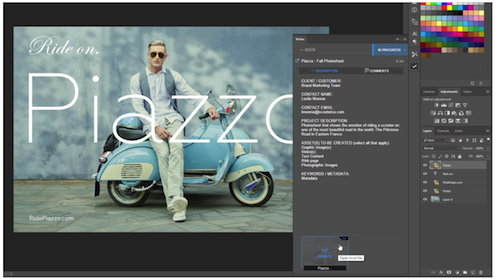 Wrike addresses these two shortcomings with a robust platform that is tailor-made for marketing and creative teams with complete work management capabilities. Depending on the version that you choose, Wrike for Marketers is scalable from 5 up to 200 or an unlimited number of users. You can set up user groups and permissions to determine the right level of access for every single user according to his or her function. In marketing, project management is more art than science. One way to make your life easier—and that of your team—is to use a project management system built specifically for marketing and creative teams. 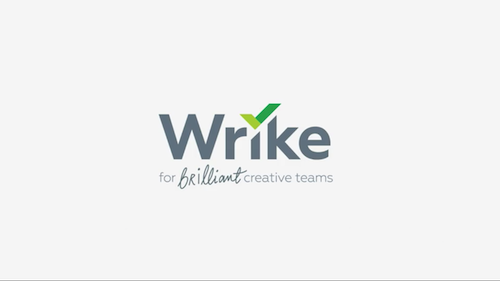 Learn more about Wrike’s solution for Marketing and Creative Teams, or check it out for yourself by starting a free two week trial.